Tot seguit s’indiquen les publicacions científiques (llibres, articles, pòsters, presentacions a congressos) que han comptat amb la participació de membres de la Unitat de Sistemes d’Observació Meteorològica els darrers anys. – Pineda N, Soler X (2019). El llamp ascendent. Revista Penell, nº 52. – Farnell C, Rigo T (2018). L’eina del Lightning Jump: com funciona i resultats a l’SMC. Revista Penell, nº 50, 11-13. – Pineda N, Montanyà J, Salvador A, Van der Velde O, López J.A (2018). Thunderstorm characteristics favouring downward and upward lightning to wind turbines. Atmospheric Research, Vol. 214, 46-63. https://doi.org/10.1016/j.atmosres.2018.07.012. – Farnell C, Rigo T, Pineda N (2018): Exploring radar and lightning variables associated with the Lightning Jump. Can we predict the size of the hail? Atmospheric Research, Vol. 202, 175-186. https://doi.org/10.1016/j.atmosres.2017.11.019. – Llasat MC, Rigo T, Villegas JJ (2017): Chapter 8. Techniques and instruments that help to watch for a flood event, pp 91-111. Handbook on flood risk (F. Vinet, editor). ISTE editions, 364pp. ISBN: 9781785482687; Copublished “Elsevier”, London, United Kingdom. – Altube P, Bech J, Argemí O, Rigo T, Pineda N, Collis S, Helmus J (2017): Correction of dual-PFR Doppler velocity outliers in the presence of aliasing, J. Atmos. Oceanic Technol., 0, doi:10.1175/JTECH-D-16-0065.1. – López JA, Pineda N, Montanyà J, Van der Velde O, Fabró F, Romero D (2017): Spatio-temporal dimension of lightning flashes based on three-dimensional Lightning Mapping Array. Atmospheric Research, Vol. 197, 255-264. 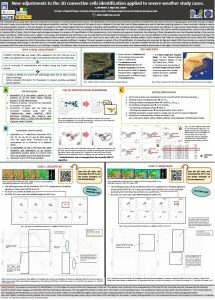 – Pineda N, Rigo T (2017): The rainfall factor in lightning-ignited wildfires in Catalonia. Agricultural and Forest Meteorology, Vol. 239, 249-263. – Rigo T, Llasat MC (2016): Forecasting hailfall using parameters for convective cells identified by radar. Atmospheric Research, Vol. 169, 366-376. – Rigo T, Pineda N (2016): Inferring the severity of a multicell thunderstorm evolving to supercell, by means of radar and total lightning. Electronic J. Severe Storms Meteor., 11 (2), 1–27. 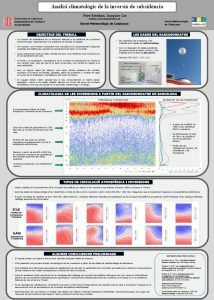 – Pineda N, Rigo T, Montanyà J, Van der Velde O (2016): Charge structure analysis of a severe hailstorm with predominantly positive cloud-to-ground lightning. Atmospheric Research, Vol. 178-179, 31-44. – Jódar J, Custodio E, Liotta M, Lambán LJ, Herrera C, Martos-Rosillo S, Sapriza G, Rigo T (2016): Correlation of the seasonal isotopic amplitude of precipitation with annual evaporation and altitude in alpine regions. Science of the Total Environment, Vol. 550, 27-37. 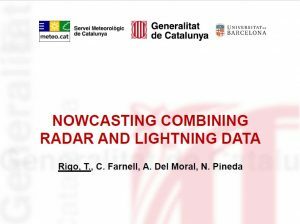 – Farnell C, Rigo T, Pineda N (2016): Lightning jump as a nowcast predictor: Application to severe weather events in Catalonia. Atmospheric Research, Vol. 183, 130-141. – del Moral A, Llasat MC, Rigo T (2016): Identification of anomalous motion of thunderstorms using daily rainfall fields. Atmospheric Research, Vol. 185, 92-100. 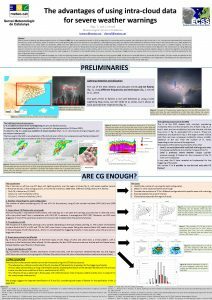 – Bech J, Arús J, Castán S, Pineda N, Rigo T, Montanyà J, Van der Velde O (2015): A study of the 21 March 2012 tornadic quasi linear convective system in Catalonia. Atmospheric Research, Vol. 158-159, 192-209. 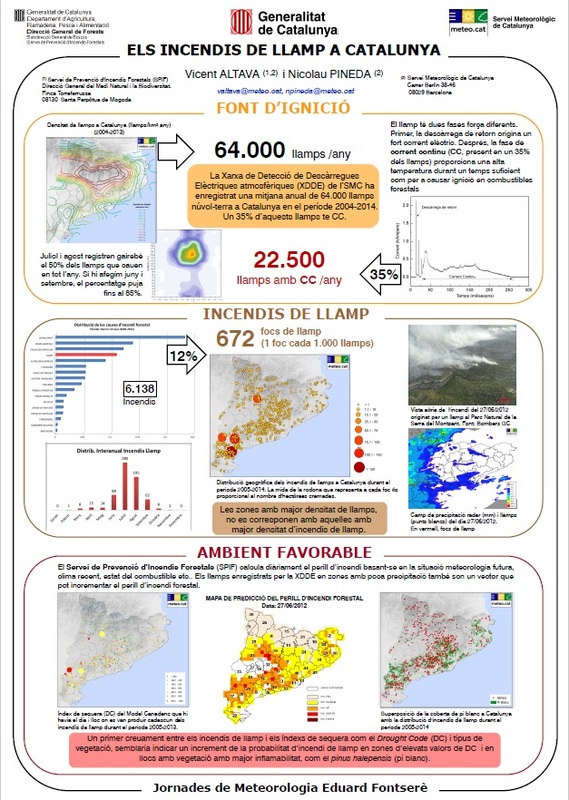 – Pineda N, Montanyà J, Van der Velde O (2014): Characteristics of lightning related to wildfire ignitions in Catalonia. Atmospheric Research, Vol. 135-136, 380-387. – Altube P, Bech J, Argemí O, Rigo T, Pineda N (2014): Weather radar online sun-monitoring in presence of leverage outliers: five or three parameter model inversion? 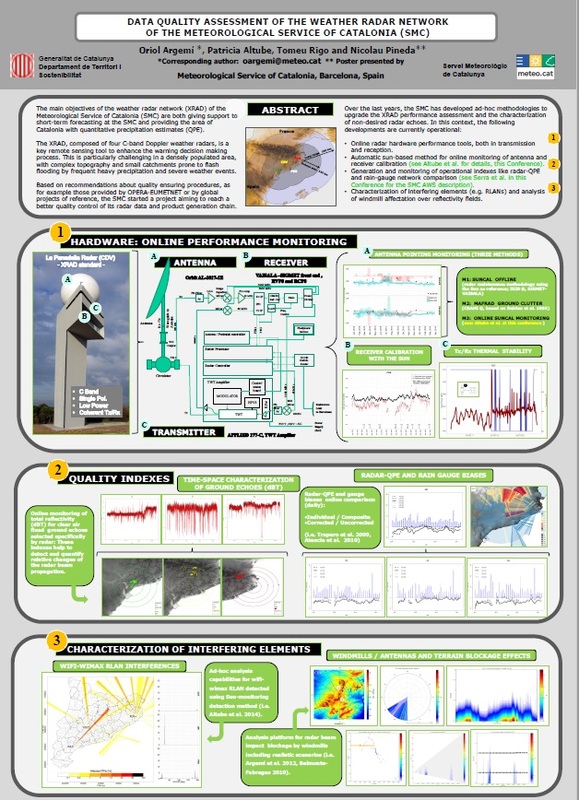 8th European Conference on Radar in Meteorology and Hydrology. – Montanyà J, Van der Velde O, Solà G, Fabró F, Romero D, Pineda N, Argemí O (2014): Lightining flash properties derived from lightning mapping array data. 32nd International Conference on Lightning Protection (ICLP). 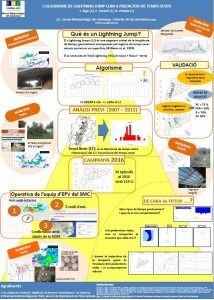 – March V, Montanyà J, Pineda N (2014): Negative lightning current parameters and detection efficiency for two operational LLS in Catalonia (NE Spain). 32nd International Conference on Lightning Protection (ICLP). – Bech J, Vidal V, Ortiz JA, Pineda N, Veciana R (2014): Real-time estimation of surface precipitation type merging weather radar and automated station observations. 17th International Road Weather Conference. 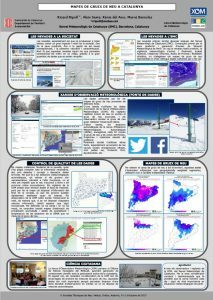 – Ripoll R, Prohom M, Peña JC, Martín-Vide J (2014): La prensa histórica como herramienta de recopilación meteorológica y climática. El caso de la Ciudad de Tarragona (España). Investigaciones Geográficas, 61, 150-169. ISSN: 0213-4691. Casellas E, Veciana R, Sairouni A, Pineda N, Bech J (2019): First results of the Meteorological field Interpolation based on Clustered Analysis (MICA). 7th International Conference on Meteorology and Climatology of the Mediterranean (MetMed). Palma, Balearic Islands 4-6 March 2019. 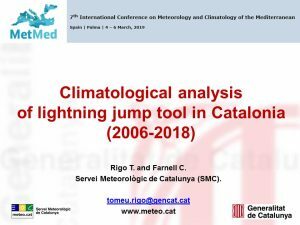 Rigo T, Farnell C (2019): Climatological analysis of lightning jump tool in Catalonia (2006-2018). 7th International Conference on Meteorology and Climatology of the Mediterranean (MetMed). Palma, Balearic Islands 4-6 March 2019. 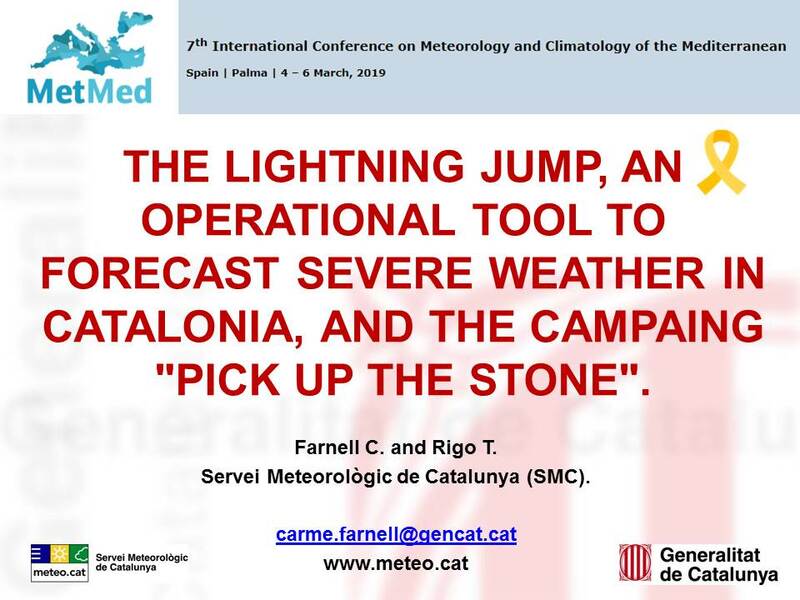 Farnell C, Rigo T (2019): The lightning JUMP, an operational tool to forecast severe weather in Catalonia, and the campain “pick up the stone”. 7th International Conference on Meteorology and Climatology of the Mediterranean (MetMed). Palma, Balearic Islands 4-6 March 2019. 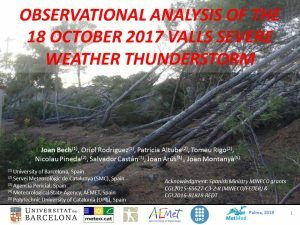 Bech J, Rodríguez O, Altube P, Rigo T, Pineda N (2019): Observational analysis of the 18October 2017 Valls severe weather thunder-storm. 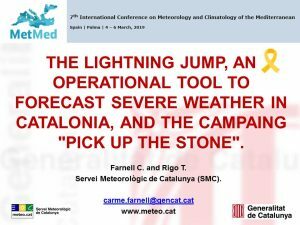 7th International Conference on Meteorology and Climatology of the Mediterranean (MetMed). Palma, Balearic Islands 4-6 March 2019. 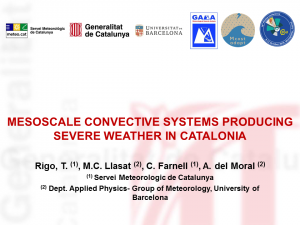 Rigo T, Llasat C, Farnell C, del Moral A (2018): Mesoscale convective systems producing severe weather in Catalonia. 16th Plinius Conference on Mediterranean Risks. EGU Topical Conference Series. Montpellier, France 9-11 October 2018. 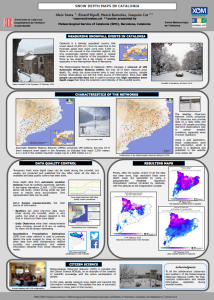 Serra A, Ripoll R, Barnolas M, Cot J (2018): Snow depth maps in Catalonia. WMO CIMO Technical Conference on Meteorological and Environmental Instruments and Methods of Observation. Amsterdam, the Netherlands 8-11 October 2018 (pòster). 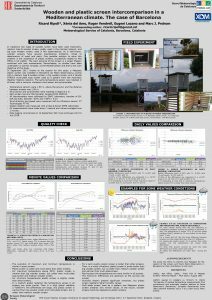 Ripoll R, del Amo X, Vendrell R, Lozano E, Prohom M (2018): Wooden and plastic screen intercomparison in a Mediterranean climate. The case of Barcelona. EMS Annual Meeting: European Conference for Applied Meteorology and Climatology. Budapest, Hungary 3-7 September 2018 (pòster). Ripoll R, del Amo X, Vendrell R, Serra A (2018): Using Citizen Science in Meteorological Hazard Events. The snowfall event in Catalonia 26-28/02/2018. EMS Annual Meeting: European Conference for Applied Meteorology and Climatology. Budapest, Hungary 3-7 September 2018 (pòster). 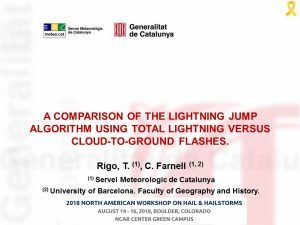 Rigo T, Farnell C (2018): A comparison of the Lightning Jump algorithm using total lightning versus cloud-to-ground flashes. North American Workshop on Hail & Hailstorms. Boulder, Colorado 14-16 August 2018. 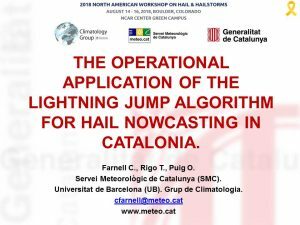 Farnell C, Rigo T, Puig O (2018): The operational application of the Lightning Jump algorithm for hail nowcasting in Catalonia. North American Workshop on Hail & Hailstorms. Boulder, Colorado 14-16 August 2018. Altube P, Rigo T, Argemí O, Pineda, N, Bech J, Collis S, Helmus J (2018): Operative correction of Dual-PRF velocity outliers. 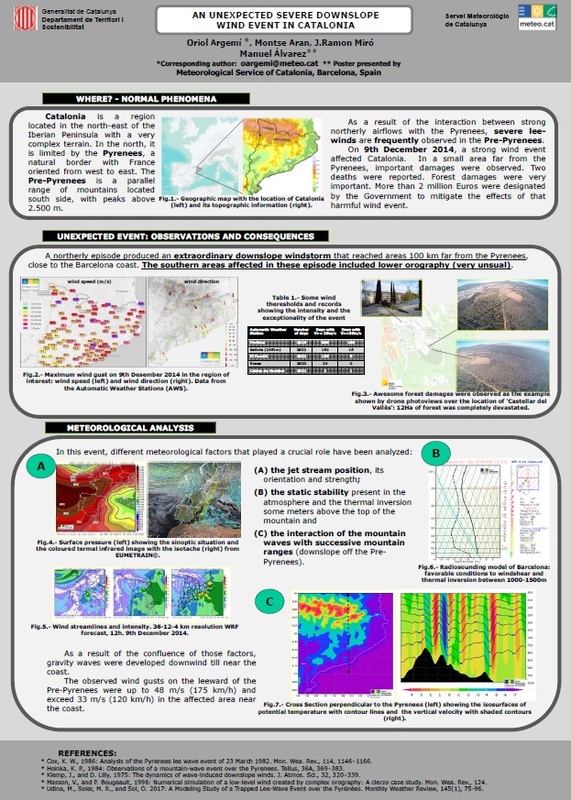 10th European Conference on Radar in Meteorology and Hydrology (ERAD 2018), Netherlands, 1-6 July 2018 (pòster). 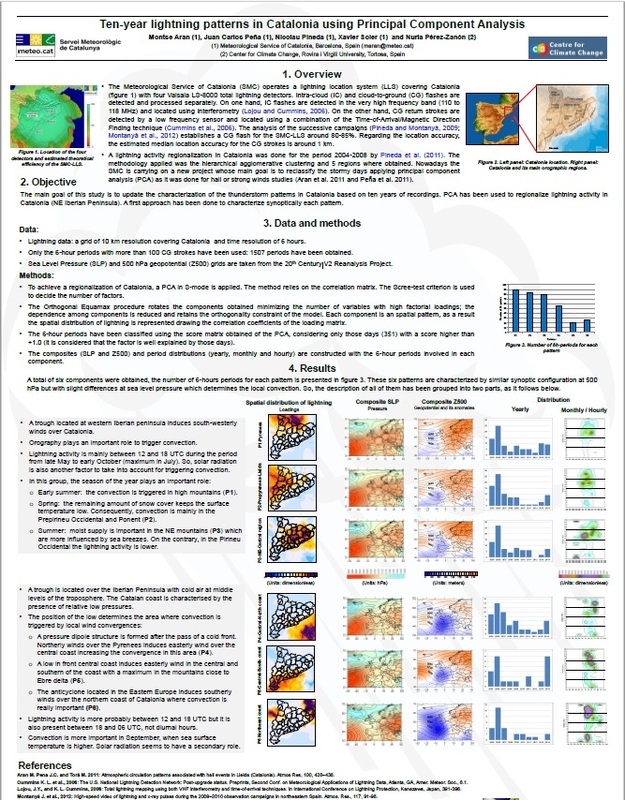 Argemí O, Altube P, Rigo T (2018): A first analysis of the Vallirana radar data quality and its contribution to the radar network of the Meteorological Service of Catalonia. 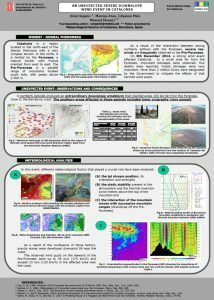 10th European Conference on Radar in Meteorology and Hydrology (ERAD 2018), Netherlands, 1-6 July 2018 (pòster). Bech J, Rodríguez O, Altube P, Rigo T, Pineda, N, Castán S, Arús J, Montanyà J (2018): Doppler radar observations of two tornadic thunderstorm cases in the western mediterranean region. 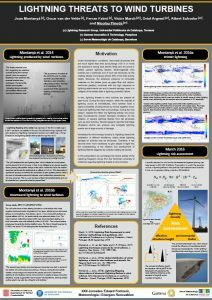 10th European Conference on Radar in Meteorology and Hydrology (ERAD 2018), Netherlands, 1-6 July 2018. 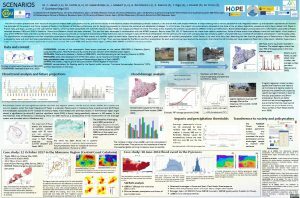 Casellas E, Bech J, Veciana R, Pineda, N, Rigo T, Moré J, González S, Paci A, Codina B (2018): Multisouce data varification of a weather radar surface precipitation type product. 10th European Conference on Radar in Meteorology and Hydrology (ERAD 2018), Netherlands, 1-6 July 2018. 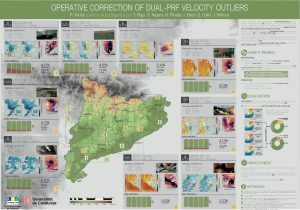 Ripoll R, Serra A, del Amo X, Barnolas M (2017): Mapes de gruix de neu a Catalunya. V Jornades Tècniques de Neu i Allaus, Ordino, Andorra, 9-11 d’octubre de 2017 (pòster). Esteban P, Cot J (2017): Anàlisi climatològic de la inversió de subsidència. V Jornades Tècniques de Neu i Allaus, Ordino, Andorra, 9-11 d’octubre de 2017 (pòster). Farnell C, Rigo T, Pineda N (2017): A comparison of the hail size in front of the electrical and other radar features of thunderstorms: the use of lightning jump as severe weather forecaster. 2nd European Hail Workshop, University of Bern, Switzerland, 19-21 April 2017 (pòster). 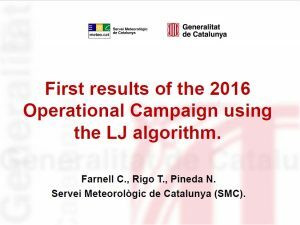 Rigo T, Farnell C, Pineda N (2016): L’algorisme de Lightning Jump com a predictor de temps sever. XXII Jornades de Meteorologia Eduard Fontserè, 26 de novembre de 2016. Barcelona (pòster). 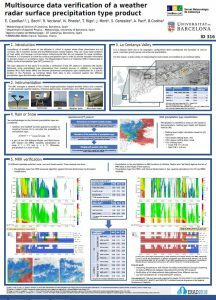 Montanyà J, Van der Velde O, Fabró F, March V, Argemí O, Salvador A, Pineda N (2016): Lightning threats to wind turbines. XXII Jornades de Meteorologia Eduard Fontserè, 26 de novembre de 2016. Barcelona (pòster). 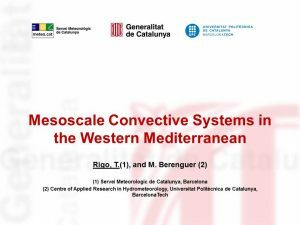 Ripoll R, del Amo X, Vendrell R (2016): The weather observers network of the Meteorological Service of Catalonia. WMO Technical conference on meteorological and environmental intruments and methods of observation TECO-2016, Madrid, Spain, 27-30 September 2016 (pòster). 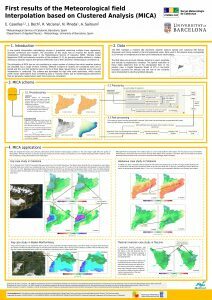 Serra A, Barnolas M, Vendrell R (2016): Automatic weather stations network (XEMA) of the Meteorological Service of Catalonia (SMC). WMO Technical conference on meteorological and environmental intruments and methods of observation TECO-2016, Madrid, Spain, 27-30 September 2016 (pòster). Altube P, Bech J, Argemí O, Rigo T, Pineda N (2016): Online sun-monitoring method for weather radar calibration and derived applications. WMO Technical conference on meteorological and environmental intruments and methods of observation TECO-2016, Madrid, Spain, 27-30 September 2016 (pòster). 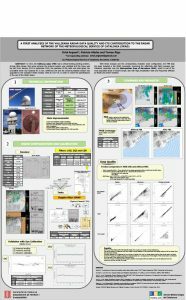 Argemí O, Altube P, Rigo T, Pineda N (2016): Data quality assessment of the weather radar network of the Meteorological Service of Catalonia (SMC). WMO Technical conference on meteorological and environmental intruments and methods of observation TECO-2016, Madrid, Spain, 27-30 September 2016 (pòster). Pineda N, Soler X (2015): The influence of the Mediterranean sea on the annual lightning distribution in Catalonia. 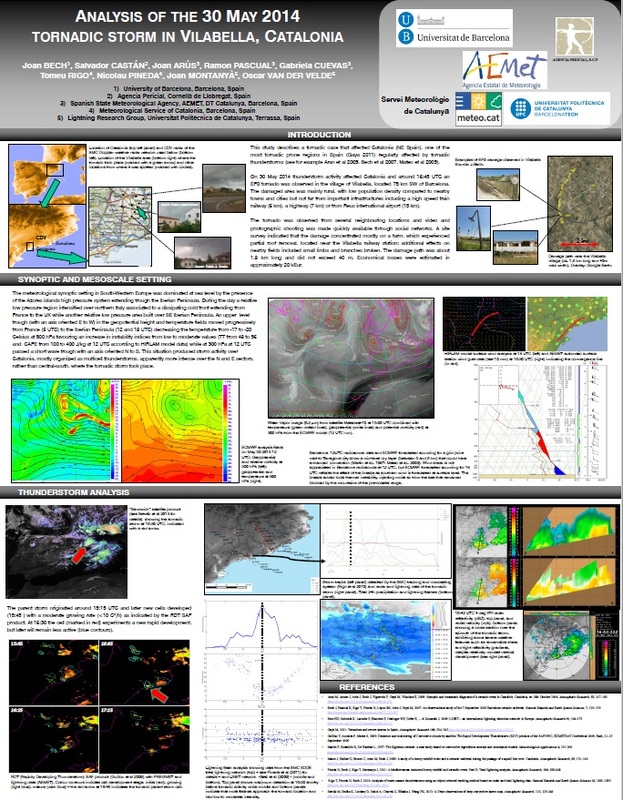 5th International Conference on Meteorology and Climatology of the Mediterranean 2-4 March 2015 Istanbul, Turkey (pòster). 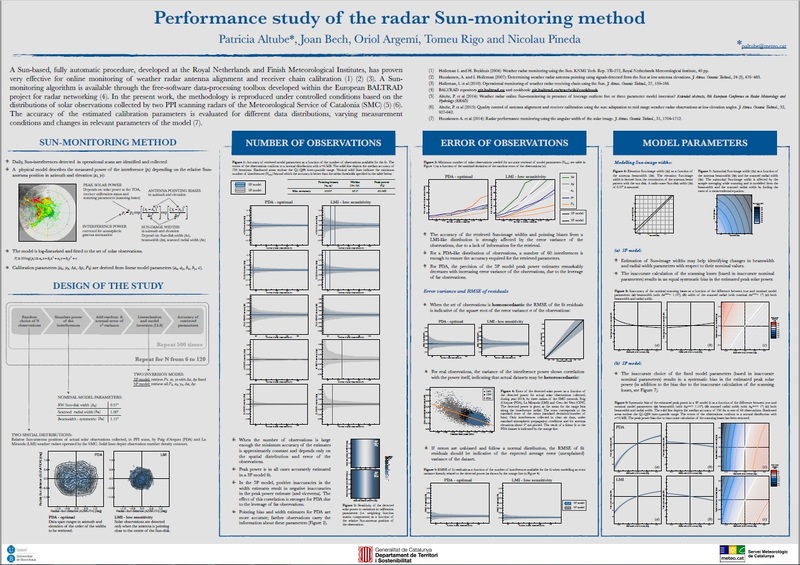 Altube P, Bech J, Argemí O, Rigo T, Pineda N (2015): Performance study of the radar Sun-monitoring method. 37th Conference on Radar Meteorology of the American Meteorological Society 14-18 September 2015 Norman, Oklahoma, EUA (pòster). Altava V, Pineda N (2015): Els incendis de llamp a Catalunya. XXI Jornades de Meteorologia Eduard Fontserè, 27 al 29 de novembre de 2015. Barcelona (pòster). 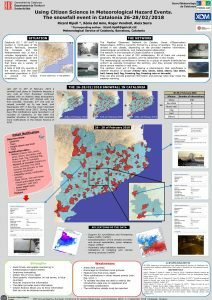 Bech J, Castán S, Arús J, Pascual R, Cuevas G, Rigo T, Pineda N, Montanyà J, Van der Verlde O (2015): Analysis of the 30 May 2014 tornadic storm in Vilabella, Catalonia. 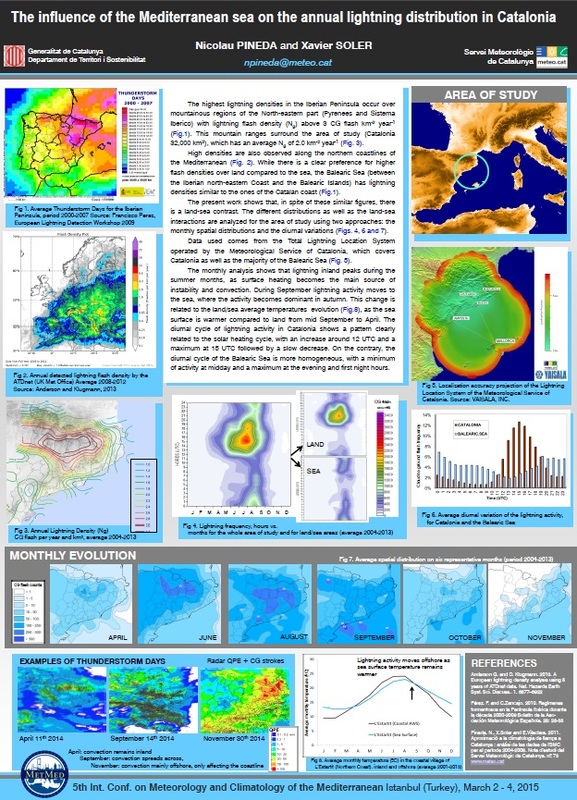 European Congress on Severe Storms (ECSS) Poster Session, ECSS2015-57 (pòster). 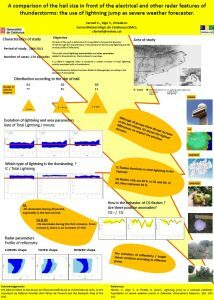 Aran M, Peña JC, Pineda N, Soler X, Pérez-Zanón N (2015): Ten-year lightning patterns in Catalonia using Principal Component Analysis. 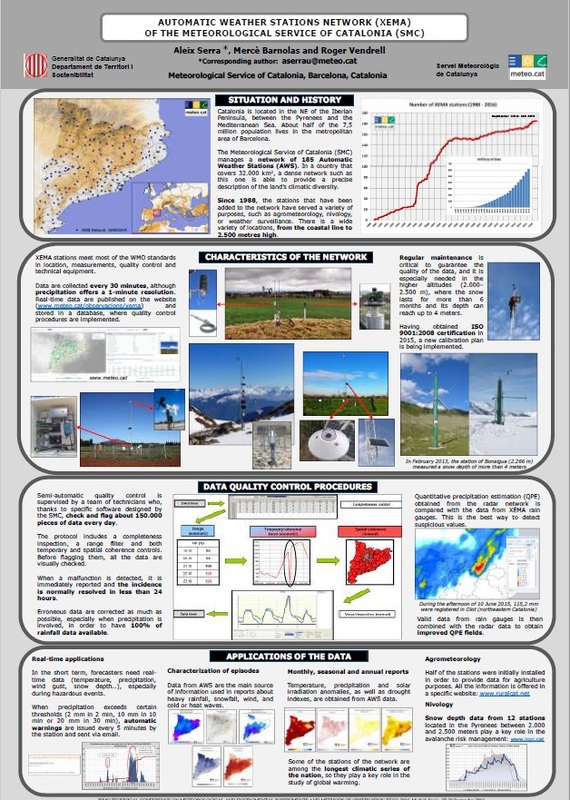 European Congress on Severe Storms (ECSS) Poster Session, ECSS2015-155 (pòster). Rigo T, Aran M, Bech J, Farnell C, Mateo J, Pineda N, Ripoll R, Serra A (2015): “Temps sever” a Catalunya: Desenvolupament d’una base de dades històrica d’episodis. XXI Jornades de Meteorologia Eduard Fontserè, 27 al 29 de noembre de 2015. Barcelona (pòster). 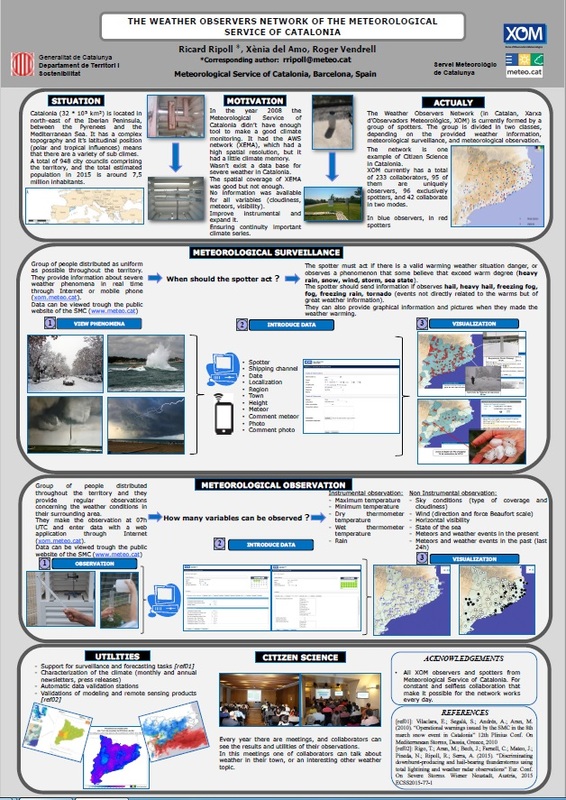 Argemí O, Altube P, Rigo T, Ortiga X, Pineda N, Bech J (2014): Towards the improvement of monitoring and data quality assessment in the weather radar network of the Meteorological Service of Catalonia (SMC). 8th European Conference on Radar in Meteorology and Hydrology. Sept 2014. Garmisch-Partenkirchen, Alemanya (pòster). Rigo T, Pineda N (2014): The relationship between maximum diameter and lightning activity in hail events in Catalonia. 1st European Hail Workshop, 25 al 27 de juny de 2014. Unversity of Bern, Suïssa (pòster). 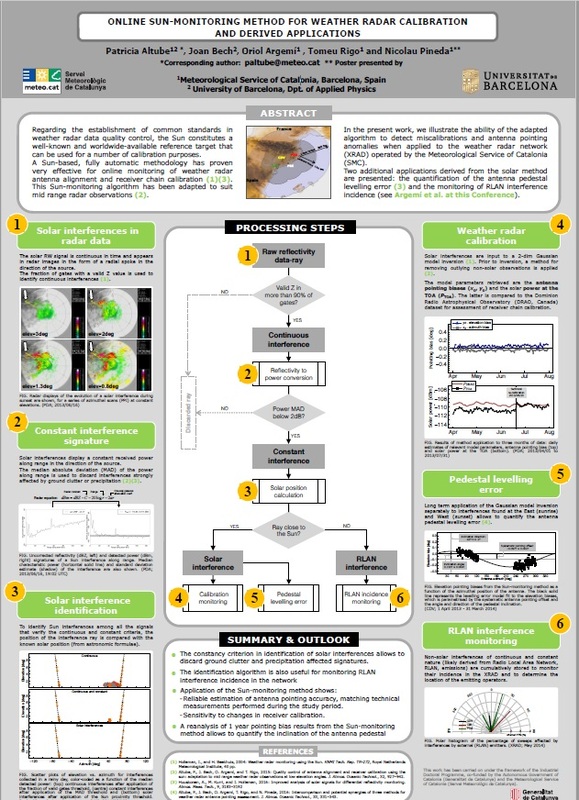 Rigo T, Llasat C (2014): Anlysis of hail size uing operational radar parameters for surveillance tasks. 1st European Hail Workshop, 25 al 27 de juny de 2014. Unversity of Bern, Suïssa (pòster). 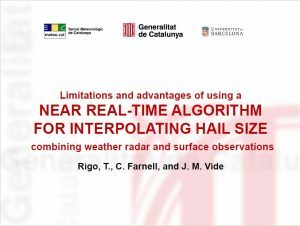 Rigo T, Farnell C (2014): A tool for estimation of the hail size. 1st European Hail Workshop, 25 al 27 de juny de 2014. Unversity of Bern, Suïssa (pòster).